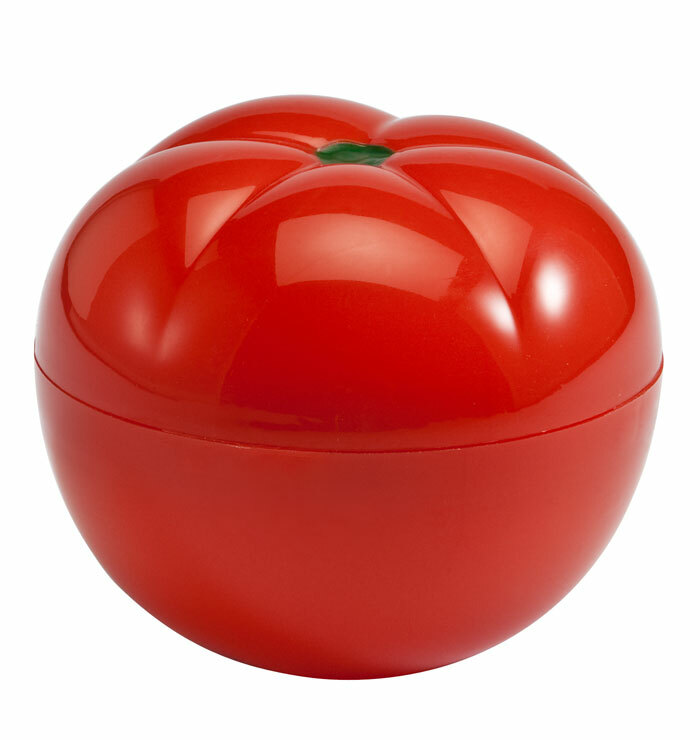 Keeps a cut tomato fresh and moist. 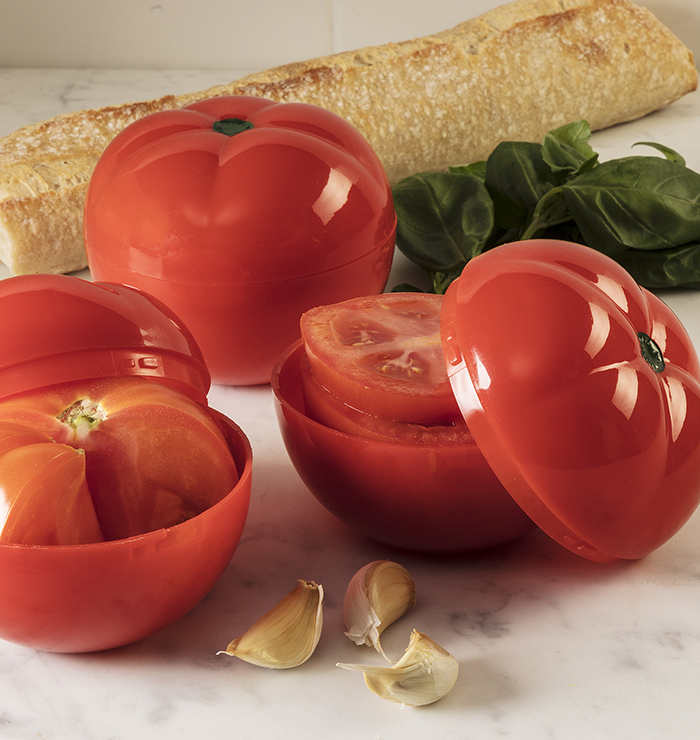 Fun for outdoor serving of tomato slices. Easy to find in the refrigerator. Two sides attach by twist lock. Dishwasher safe. 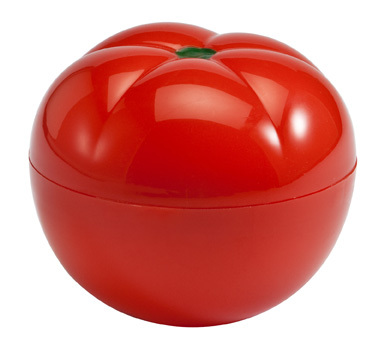 height: 3.2", diameter: 3.8"